After 60 years of playing the Davis Cup, Colombia got its first victory against a European team and qualified for the new finals of the tournament. Everything that costs is celebrated with the soul. 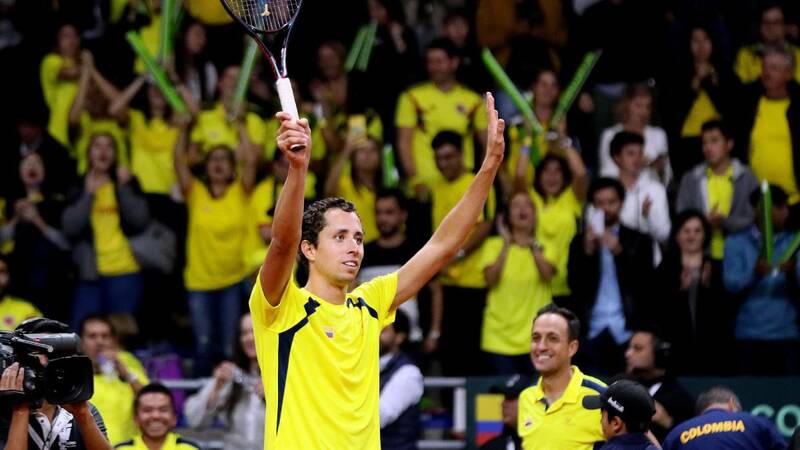 After 60 years of competing in the Davis Cup, Colombia won its first victory against a European team and the first qualification to the world group . The Palace of Sports of Bogotá was the scene of a battle against history, of a test more to the will and the effort of a generation that knows the rigor of defeat in a country where tennis is an unpopular sport . The award was also for that faithful fans that filled the stands and for all those people who for many years believed without seeing. Robert Farah and Juan Sebastián Cabal celebrated on their knees the triumph against Sweden (6-3 and 6-4) and the honor of becoming together with Santiago Giraldo, Alejandro González, Daniel Galán and captain Pablo González in one of the 24 national teams that will compete in the Davis final this November in Madrid. As a soundtrack to the feat, the applause and the applause were recorded. chants of the public that in the four disputed parties shouted each point as if it were the last. In Bogotá they played the height (they recognized Lindsted and Eriksson), the mood of the fans as well as the professionalism and the delivery of the tennis players who played the series. The triumphs do not always correspond to the effort, but they do enhance the evolution of the sport from the example. The successes inspire, infect, promote new talents in a sport that also has to gain space from the cultural and media. Colombian tennis has a great opportunity to grow from the classification.